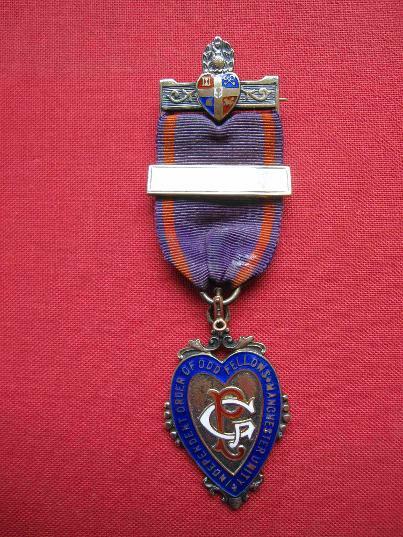 Right: A jewel inscribed on the front Independent Order of Oddfellows Manchester Unity. On the reverse is written: Presented to Bro E Luscombe P G* 1933 in appreciation of services rendered to Loyal Ashburton Lodge. * Past Grand - has presided over an Oddfellows' Lodge. In 1932 he was N G - Noble Grand, or presiding officer. For more on the Oddfellows, see the Join the Club sub-section of Gathering Together. Left: This 'Hygienic delivery bag' appears to be made of waxed paper, and is lined with something similar to greaseproof paper. In Kelly's Directory of Devonshire 1935 Wm Eales is shown as a butcher at 42 East Street. 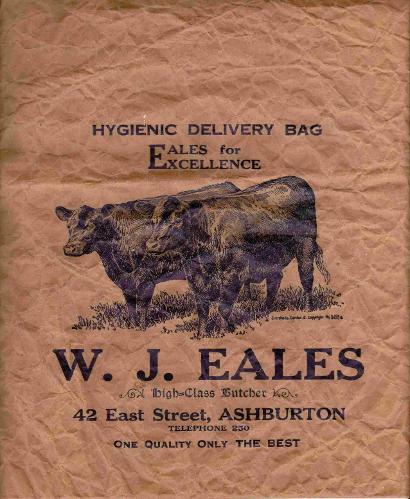 The telephone number at that time was 50 - this bag must be of a later date as it has become 250. Many thanks to Jane and Arthur Smith for this item. 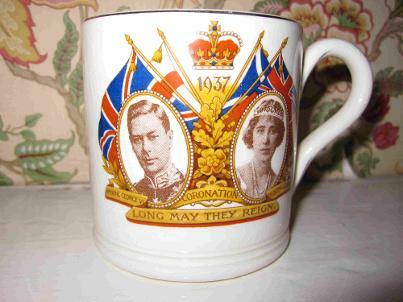 Above and below: A coronation mug commemorating the coronation of King George VI and Queen Elizabeth. George VI had become king upon the abdication of his brother, Edward VIII, in December 1936. In February a meeting presided over by Mr H S Joyce, the Portreeve, proposed giving a commemorative mug to all children under 16 who attended a celebration tea. 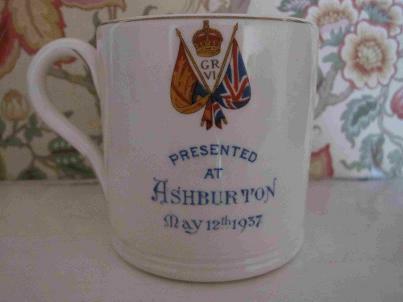 After some debate it was decided to give a mug to all children, whether parishioners or not, provided that the non-parishioners attended a local boarding school and were not receiving a souvenir from any other source.